For members in good standing of Bluegrass IIBA Chapter who register within one week of start of the study group. 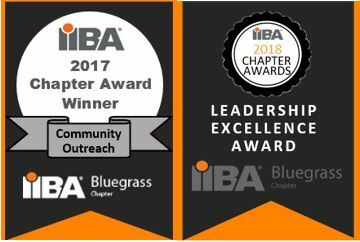 Bluegrass IIBA Chapter will run the study group for about 10 sessions on Wednesday evenings through the summer. This study group will provide 25 Professional Development (PD) Hours for those students seeking certification, and provide a practice test opportunity for all students. Students will be provided with course material, including a BABOK v3 Study Guide. This study group will be facilitated by Director of Certification Eric Neill, PMP, CSCP and Vice President of Professional Development Aaron Whittenberger, CBAP. If you have any questions concerning this study group, please email Eric at Certification@bluegrass.iiba.org.